The Moody 30 is distinctive of Angus Primrose designs with her flared bow and heavy displacement making her a robust family cruiser ideal for coastal sailing. 162 were built between 1975-1979 and this is one of the later 30's by Marine Projects in Plymouth. Simple and straightforward to sail they are well thought of for their seakeeping abilities and below have space for a family with good sized berths and ample storage. 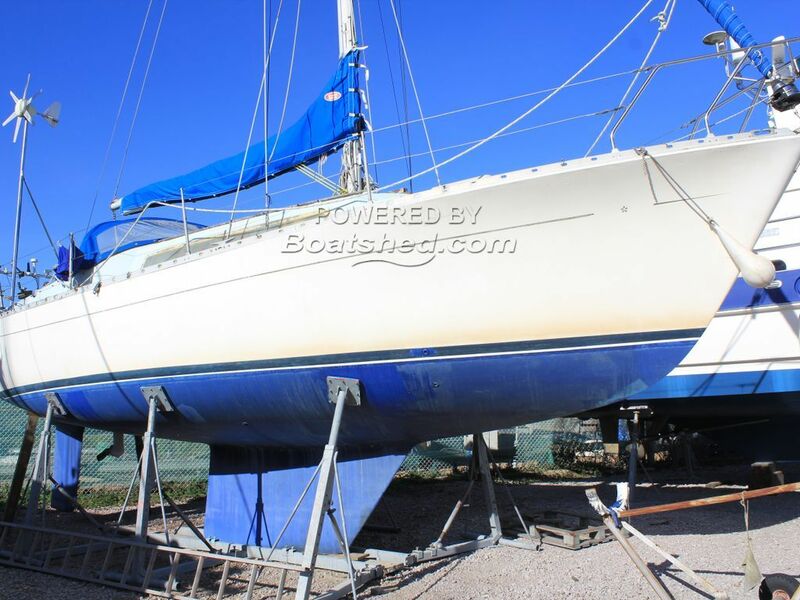 This Moody 30 has been personally photographed and viewed by Corinne Gillard of Boatshed IOW. Click here for contact details.